The good news: Your eyelash extensions look fabulous. A common question for people considering eyelash extensions ask, “Can I wear makeup with them?”. The answer is thankfully “Yes!”. The bad news is half your eye-makeup collection needs to go. 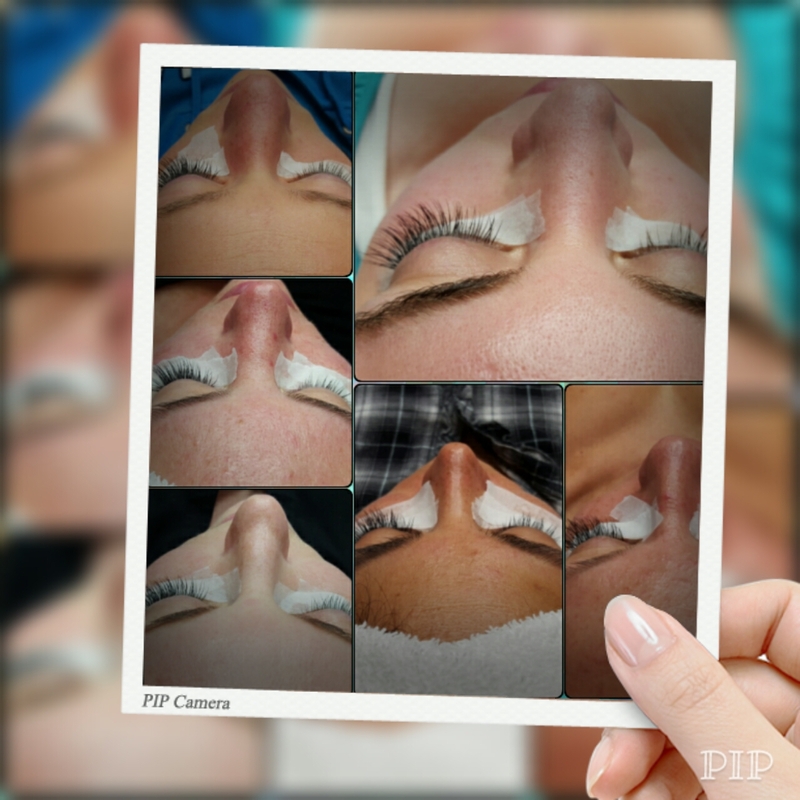 Eyelash extensions can last for up to six weeks, but wearing the wrong makeup can lead to lash fallout and extension damage, dramatically decreasing the length of time your lash extensions look full and fabulous. For a lot of women, eyelash extension alone make them look feminine, awake, and put together. Many women feel comfortable wearing only eyelash extensions! However, this is not always the case for everyone. Eyelash extensions aren’t going to fix acne, scarring, discoloration, dark circles, or other skin concerns. And even with the pretty and sometimes dramatic statement of lashes you will still want some pretty shading and definition on your eyes. That’s great! Here are some tips and ideas for showcasing and preserving your beautiful eyelash extensions when wearing makeup. Always keep your eyelash extensions brushed and carefully cleaned. This is even more important when you regularly wear makeup with your eyelash extensions. Use a gentle, oil-free cleanser to clean off your makeup each time. Remove ALL of the makeup, as residue can damage the lashes. Brush out your lash extensions before and after applying makeup to ensure that all are upright and smooth – no twisting or tugging. Use an eyeshadow primer to help your powder stay where it’s put. Use a small, tight bristled brush and tap away excess powder before applying to your lid. 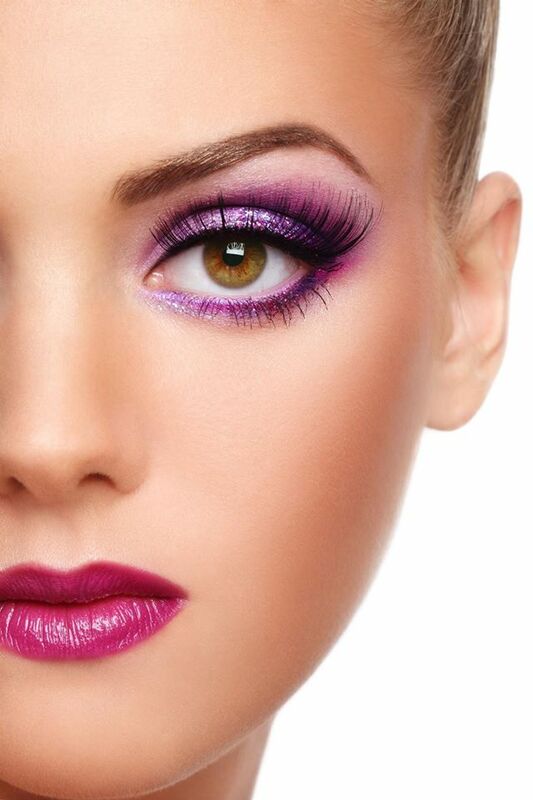 Avoid getting powder on your eyelashes, but if it happens just use a clean mascara wand to remove the excess powder. when applying these to the eye area be careful to avoid direct contact with your lashes. If the formulas are sticky or take a while to dry, do your best to look upward, keeping your lashes away from the area until it is completely dried. Now that your lashes are thicker, longer, and darker with eyelash extensions make sure that your eyebrows aren’t disappearing into your face! Use a pencil, loose powder, or gel to carefully shape and thicken your eyebrows to match your beautiful eyelash extensions. Use with caution. Choose a gentle, thin formula that IS NOT waterproof. Waterproof mascaras are notoriously difficult to remove, resulting in twisted, torn, and damaged lash extensions. Also, avoid “tubing” formulas — meaning, the kind that slips off in water, without requiring remover. Tube mascara can literally be pulled off natural lashes with a little moisture and light pressure, but this formula sticks like glue to falsies. You’ll get it off — but not without losing a few (pricey, hard-earned) lashes. If you feel you need a little more definition, or you’re getting close to a fill appointment and are looking a little sparse, you can use mascara sparingly. Recommended to use a mascara that is lash extension safe, preferably one represented by a lash extension company. Brush through your lashes first, then carefully apply a thin, even sweep over your the tips of your lashes only. When you have beautiful lash extensions, they can get tangled. Dragging a sticky pencil liner along the lash line, where eyelash extensions form their tenuous bonds, just worsens tangling and lash fallout. Cream and gel eyeliners can leave a gummy residue on extensions, making removal an utter headache. Liquid liners or powder is best to line your upper lash line. If it’s not obvious by now, smudge-proof and budge-proof eye makeup is generally bad news for lash extensions, just as the mascara is. Keeping your eyelash extensions clean is key to making them last. Oil-based makeup removers are best for removing stubborn eye makeup, but cannot be used on eyelash extensions. Most lash extension companies have a Lash Shampoo or Makeup Remover that can be purchased to use to remove your makeup, while having lash extensions. Many other cleansers and removers will loosen the glue that bonds extensions to your lashes. Eyelash extensions will help you be the most beautiful version of yourself, and hopefully mean that you don’t need nearly as much makeup on a regular basis. However, if you do still feel the need for makeup – go for it! Do whatever makes you feel beautiful. Just use caution and carefully choose your products, and remove gently at the end of the day to ensure your lashes will last and look beautiful for weeks on end.